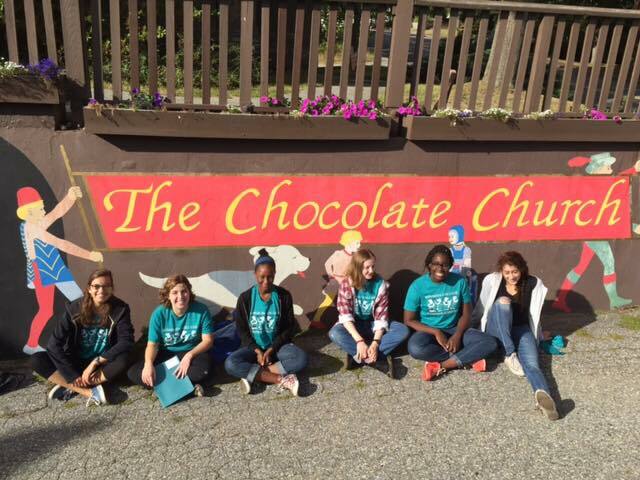 Come & Discover The Chocolate Church Arts Center! Our volunteers make it all happen. The gift of your time benefits everyone as you meet new people, reconnect with old friends, learn new skills, pass along skills to the next generation, and connect with your neighbors. Bath has a long history of community driven arts organizations. In the 1800s and today community theater and live music are the nourishing our city. From the “Fete Breton and Kirmess”, a benefit for the Patten Free Library, presented at the Alameda in 1892 to the “Hot Chocolate Jubilee” series, amateur variety shows have always been very popular with audiences and the volunteers who prepare and present these magnificent shows. Come & discover while you sing, dance, build sets, make costumes, or guide audience members to their seats, because you are the Chocolate Church Arts Center. Join The Crew For Our Next Advenure!